The Ottawa Dental Laboratory is happy to announce a revolutionary RPD! Ultaire™ AKP is a metal-free partial framework that is designed to last. 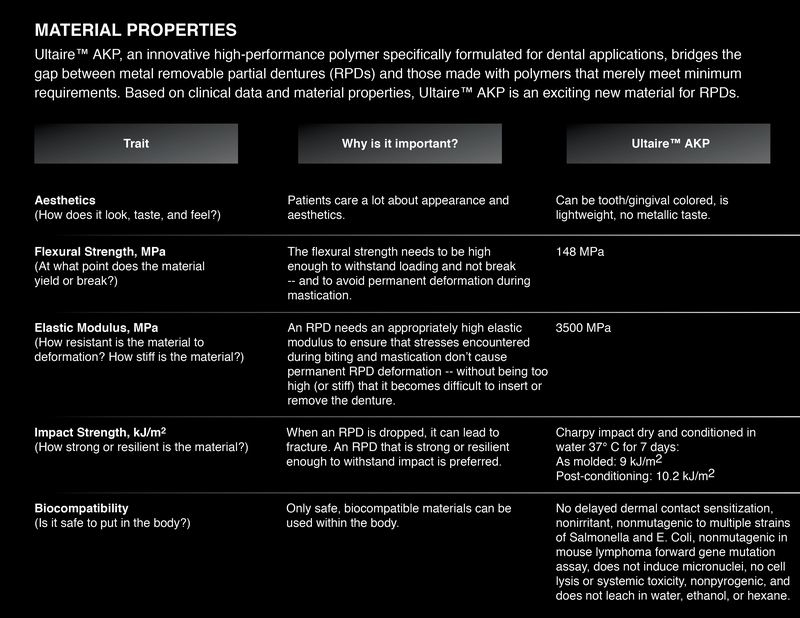 Ultaire™ AKP, an innovative high-performance polymer specifically formulated for dental applications, bridges the gap between metal removable partial dentures (RPDs) and those made with polymers that merely meet minimum requirements. Based on clinical material properties, Ultaire™ AKP is an exciting new material for RPDs.